Last weekend we decided to take a little trip to the beach. It wasn’t the hottest of days but given that it’s now August we thought we had better make the most of it and enjoy the sun we did have even if we did need our coats on at one point! 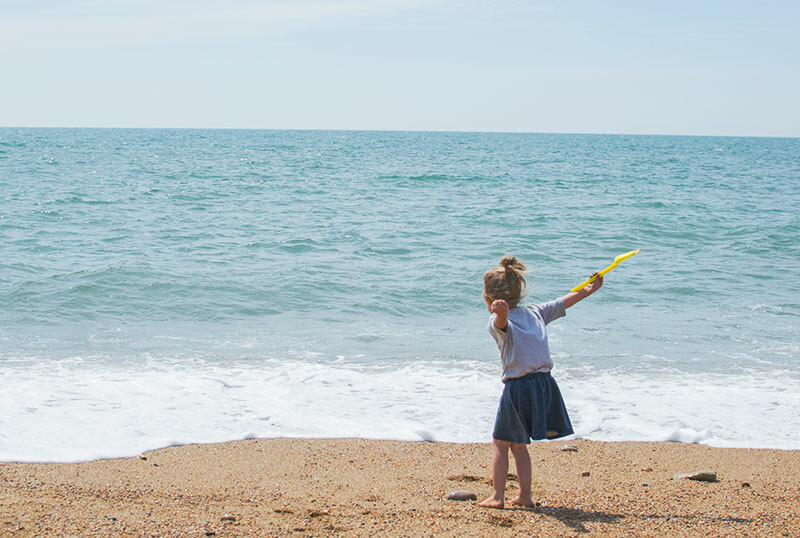 The beach we usually go to is Burton Bradstock, it’s the next one along from West Bay and is also near Lyme Regis. Both of those are also lovely but Lyme is always heaving and as I’ve mentioned before we try to avoid anywhere that is going to be really busy. 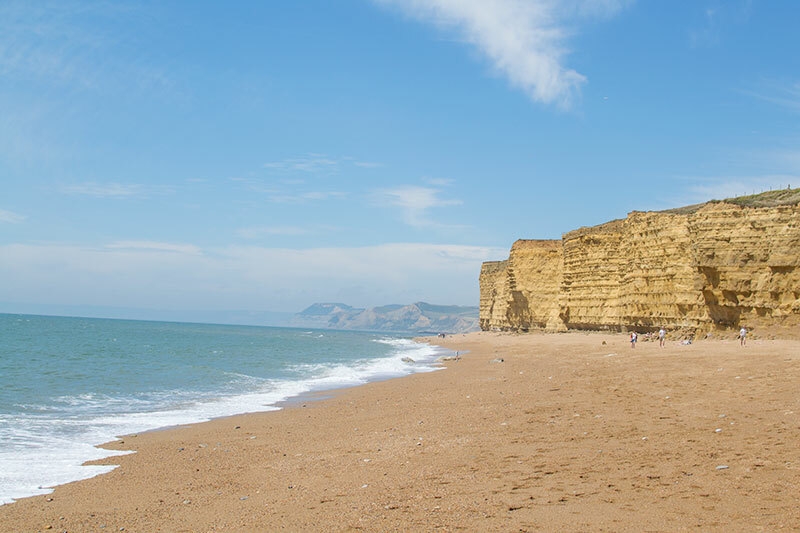 Burton Bradstock doesn’t have anything else apart from the beach and cafe so if you want more of a town then Lyme Regis is a better option but if you are looking to sit on a beach and go on a nice coastal walk then Burton is fab. Plus if you are a National Trust member then parking is free. I also like Burton Bradstock because the sand isn’t too fine. It’s quite coarse and there are lots of stone and rocks, I much prefer that to super fine sand which sticks to everything. These photos actually make it look like it was really quiet but there were a fair few people around, not too bad though considering it was a beach in August. There were hundreds of these dried up fish and the kids found it highly amusing to keep coming and giving them to Mr C.
I love the way the kids are standing in exactly the same position in this photo. I’m not the biggest fan of where we live but it is nice to be able to drive to the coast in just over an hour. This stretch of Dorset coastline is really lovely and there are lots of caravan sites in the area, there is one about a five minute walk away and the view is amazing. The restaurant there opens in the evenings during the summer too, it would be so nice to sit and have dinner there. I made a little vlog / video of our day too. I really love making these little videos, it’s much harder work than just taking photos but watching videos is so different to looking at photos and it will be so nice for us to watch them when the kids are older.